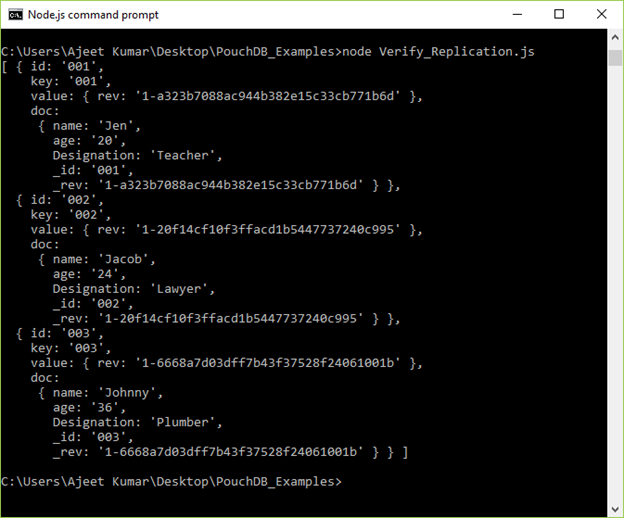 Replication is a very important feature of PouchDB. It facilitates you to make a copy of a database. 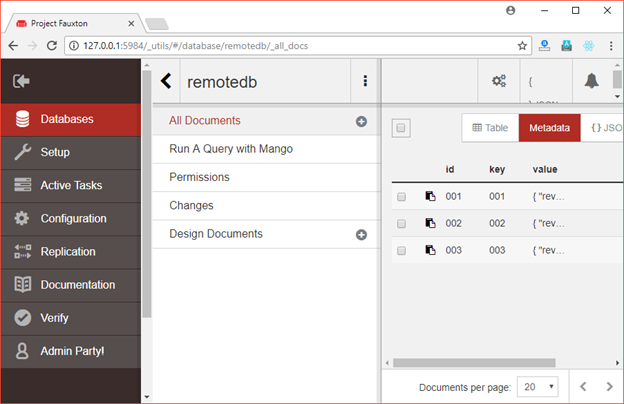 You can replicate either a PouchDB instance stored locally or a CouchDB instance stored remotely. While using this method, you can directly pass the location of source and destination databases in String format, or you can pass objects representing them. 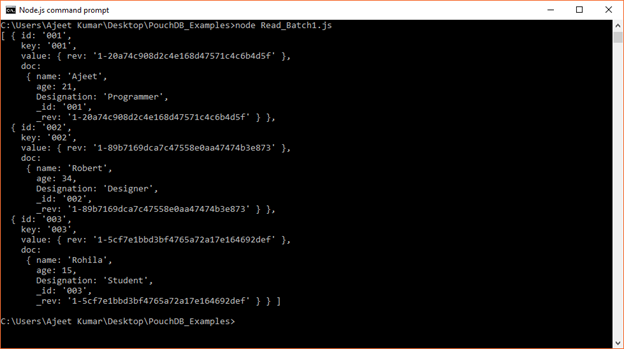 Both the source and targets can be either PouchDB instances or CouchDB instances. Let's take a database named "sample_database" in PouchDB which have 3 documents doc1, doc2, and doc3, having following content. 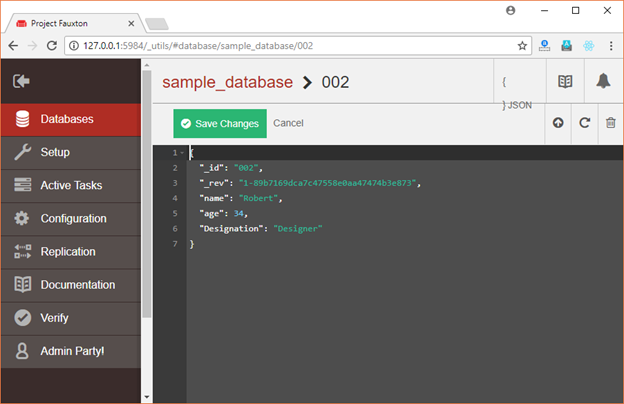 You can open CouchDB link and see that a database "sample_database" is created. Let's replicate this database in local server PouchDB. You can verify if the database is replicated in your Pouch instance by using the following code.